Soup of the week! I love making soup from scratch, it’s such an easy process that leaves room for improvisation and cuts out a lot of the salt that comes with most store bought soups. Not to mention soup is freezable, allowing for longer lasting, inexpensive meals for months. 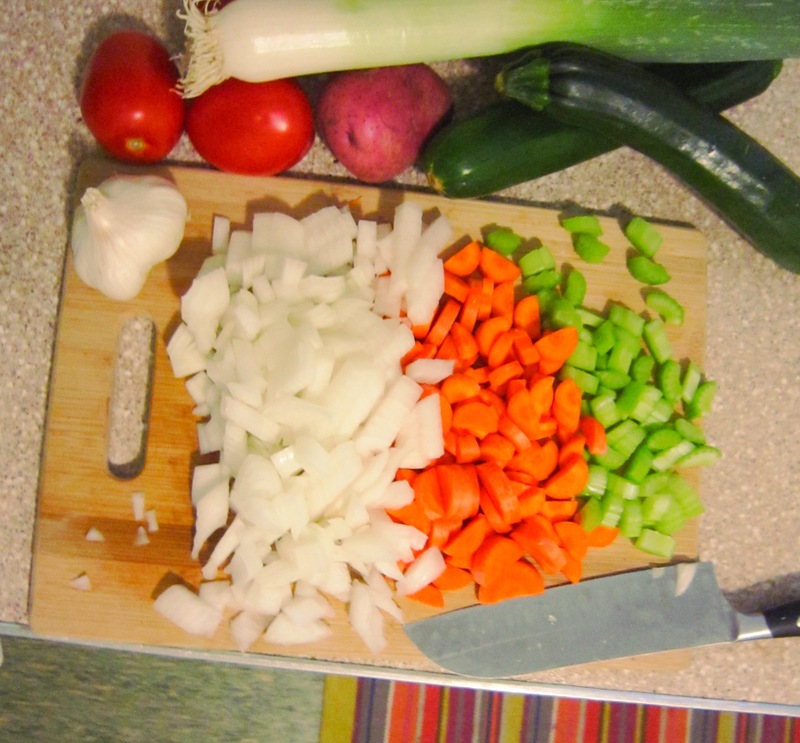 This week’s soup is a recipe that I’ve wanted to try for a long time and since I’m in full-on soup making mode its the perfect time! 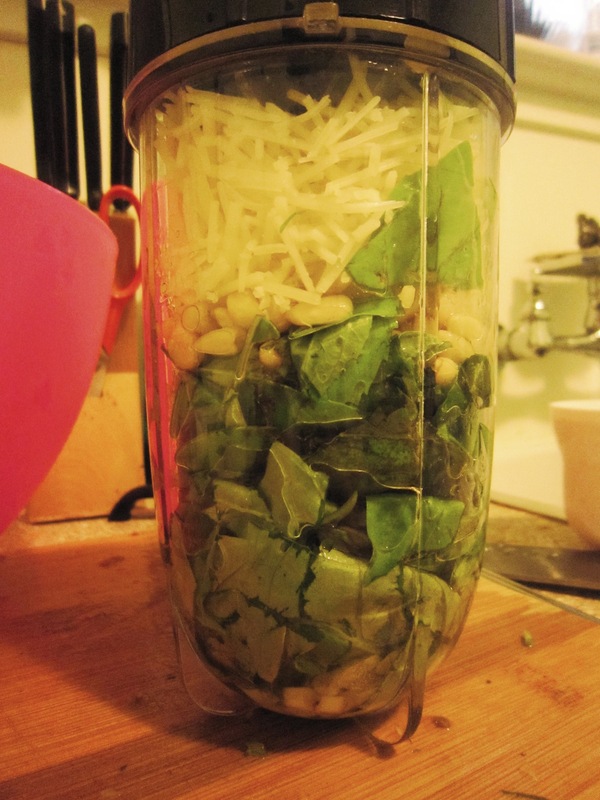 Also, I wanted to try making my own pesto so I’ve also included a really straight-forward recipe for that as well. Heat the oil in a saucepan. Stir in the onion, leek, and cook 5-6 minutes. 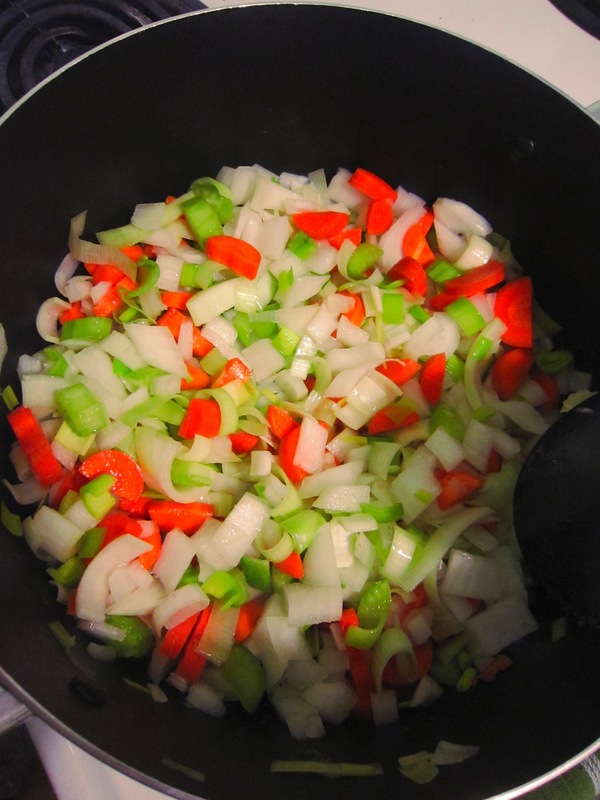 Add carrots, celery and garlic and cook over moderate heat for 5 minutes. Add the potatoes and cook for 2-3 minutes more. Pour in the hot stock and stir well. Add the herbs and season with salt and pepper. Bring to a boil, reduce heat and cook for 10-12 minutes. 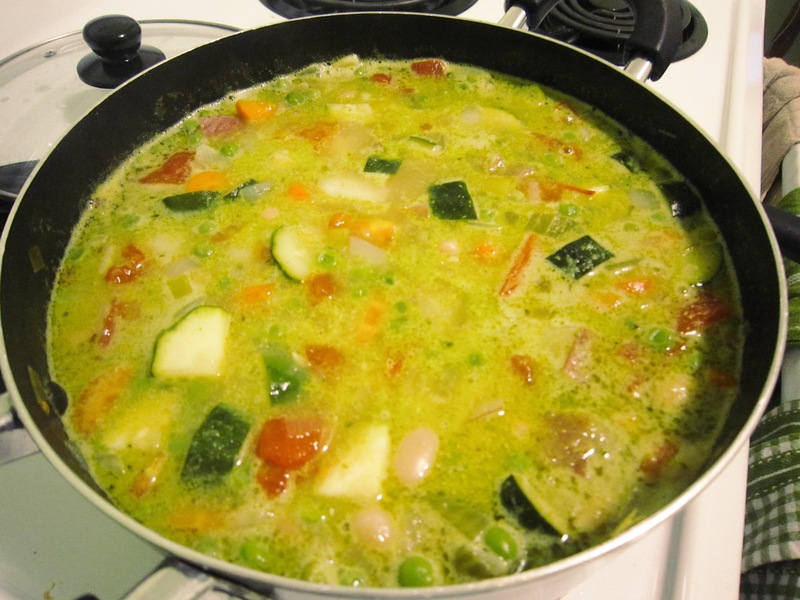 Stir in the peas if fresh and the zucchini, simmer for 5 minutes. Add the frozen peas, if using, and the tomatoes. Cover the pan and simmer for 5-8 minutes. About 10 minutes before serving, uncover the pan and stir in the beans. Simmer for 10 minutes. Stir in the pesto sauce, simmer for another 5 minutes. Remove from heat and let stand for a few minutes. Serve with grated parmesan cheese. 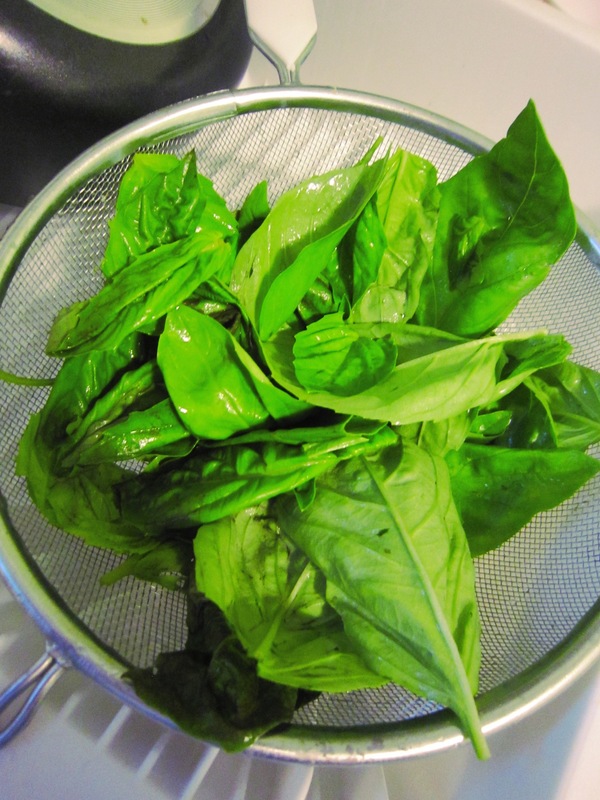 Combine all ingredients in bowl of a food process and blend until it becomes a smooth paste.